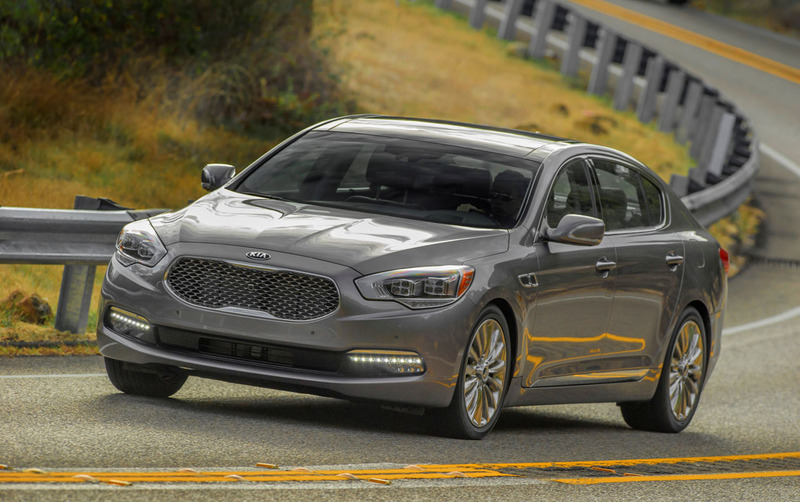 For those who like to take things literally, one of the "big" Canadian debuts at Toronto’s Canadian International Auto Show was the full-size Kia K900 luxury sedan. 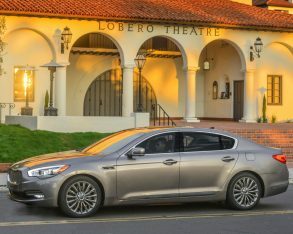 The South Korean automaker evidently believes the North American market is ready for a Kia-branded rear-wheel drive luxury car, and is introducing the new model on our shores mere months after launching it in the domestic market, although Kia’s marketing team inexplicably changed the car’s name for the North American market – it’s called the K9 back home in Korea (maybe they thought luxury cars and police dogs didn’t mix well). 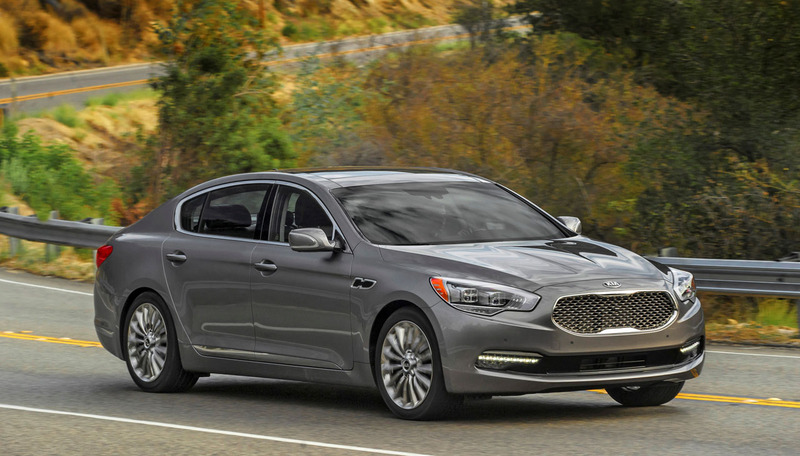 Based on the same BH-L (VI) platform as the Hyundai Equus and Genesis sedan, the K900 is slated to go on sale in Canada later this year as a 2015 model, and will carry a suggested retail price of $49,995 in base V6 trim. 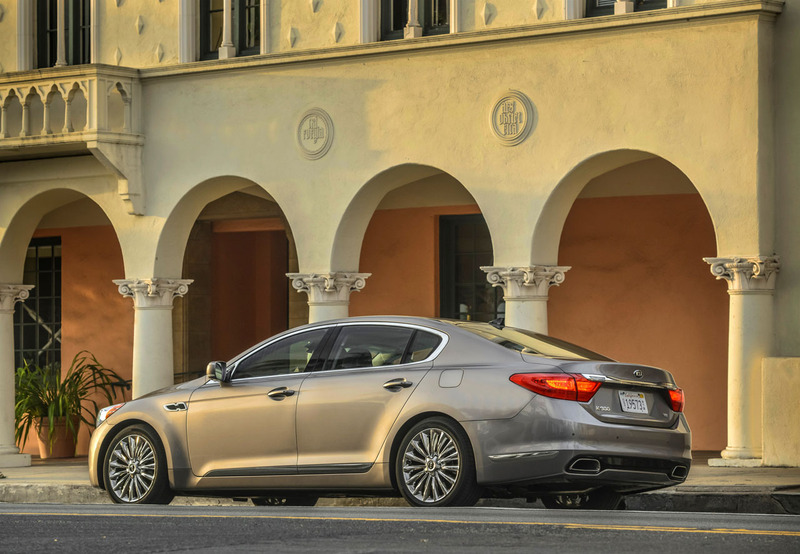 The 3.8-litre V6 produces 311 horsepower and is hooked up to an eight-speed automatic transmission. 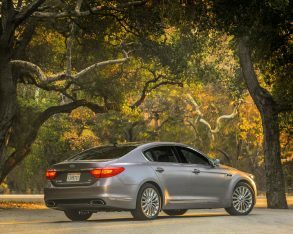 The V6 features a three-step Variable Intake System (VIS) to provide optimum low- and mid-range torque, and variable valve timing with GDI (gasoline direct injection) technology to help improve efficiency. 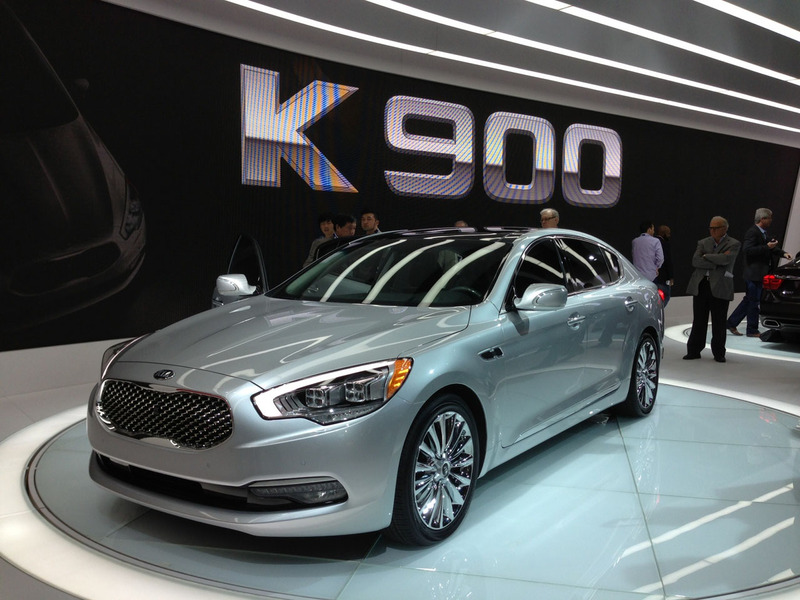 A V8 engine will also be available, the first such engine offered in a Kia sedan. 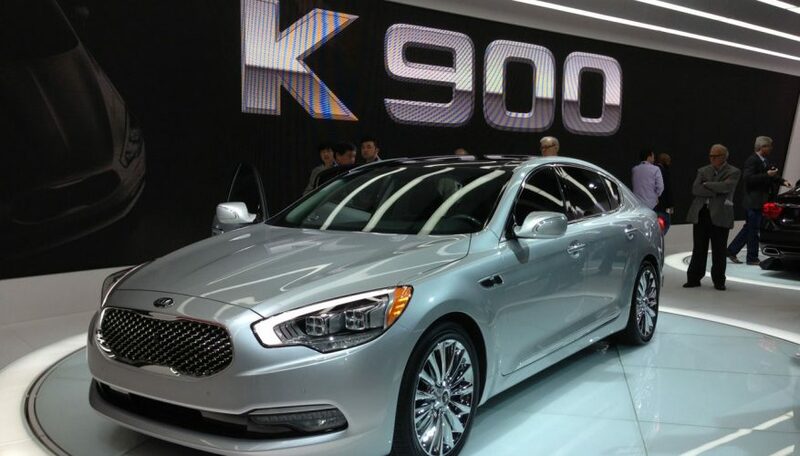 The all-aluminum Tau V8 is a DOHC, 32-valve, 5.0-litre brute capable of dishing out 420 horsepower. 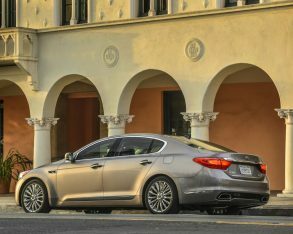 Like the V6, it is hooked up to an eight-speed automatic and gets gasoline direct injection and dual CVVT variable valve timing on both the intake and exhaust. 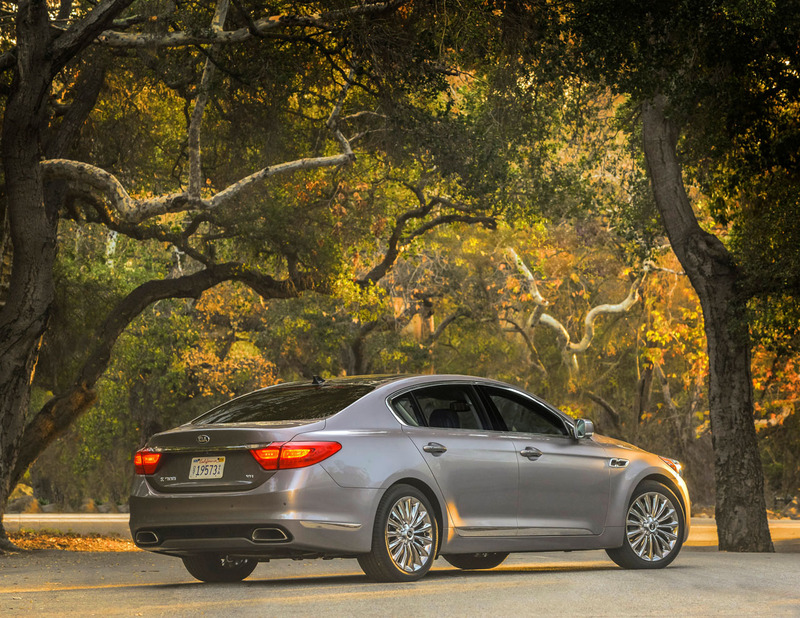 Ensuring a smooth yet responsive ride is an advanced five-link fully independent front and rear suspension. 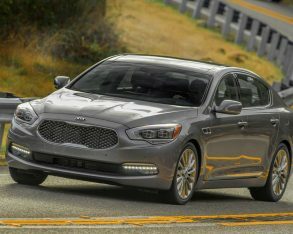 Inside, Kia boasts that the K900’s standard equipment list will feature "first-class accommodations and advanced technology." 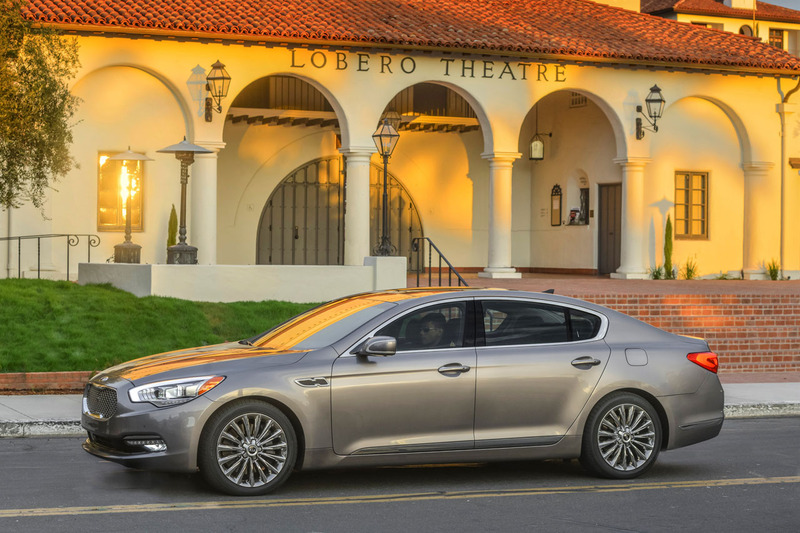 This includes leather upholstery, LED illumination, heated and cooled front seats, park assist sensing, 900-watt Lexicon audio, navigation system, UVO eServices telematics, and more. 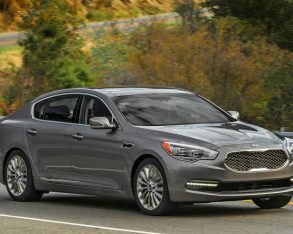 Available equipment will include lane departure warning, heads-up display, rear cross-traffic alert, blind spot detection, surround-view monitor, smart cruise control, and Kia’s AVSM (Advanced Vehicle Safety Management) system.